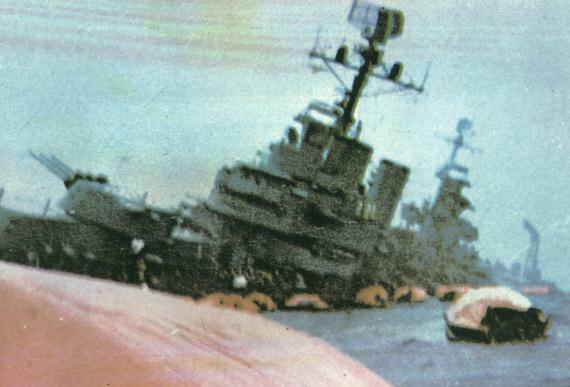 Today marks the 30th anniversary of the Argentinian invasion of the Falkland Islands. It was marked here by remembrance services and in Argentina by sabre rattling speeches by politicians pledging to uphold their illegitimate claim to the islands. Cast Iron Dave has given a Cast Iron Guarantee™ to uphold the right of Falkland Islanders to decide whether they want to belong to the UK or Argentina – a promise he’s going to struggle to keep now that we’ve decommissioned our last aircraft carrier and we’re reliant on the French for military support. The closest friendly country (if you can call it friendly) to the Falklands is French Guiana. The closest British Overseas Territory is the Pitcairn Islands which has no facilities that could be used for a military excursion. The closest friendly countries capable of being used as a launchpad for military action are South Africa and New Zealand. Our closest military base is 2,400 away at Tristan da Cunha. The US is siding with Argentina, as is most of South America. A spangly new destroyer, HMS Dauntless, is on its way to the Falklands and defences on the islands have been bolstered but that won’t stop the continued harassment of Falkland Islanders in non-military ways: threats of legal action against companies doing business in the Falklands, banning Falklands flagged boats from ports and enlisting the help of their neighbours to harass the islanders. Of course we should defend the right of the Falkland Islanders to choose whether they want to remain a British Overseas Territory or not and everyone has the right to live without harassment or fear but if we are going to make a promise to the Falkland Islanders to protect them then we need to be able to back up that promise with some action. Right now we’re not in a position to do that thanks to the criminally irresponsible behaviour of successive British governments who have run down our military and over-extended our forces fighting illegal and unwinnable wars.